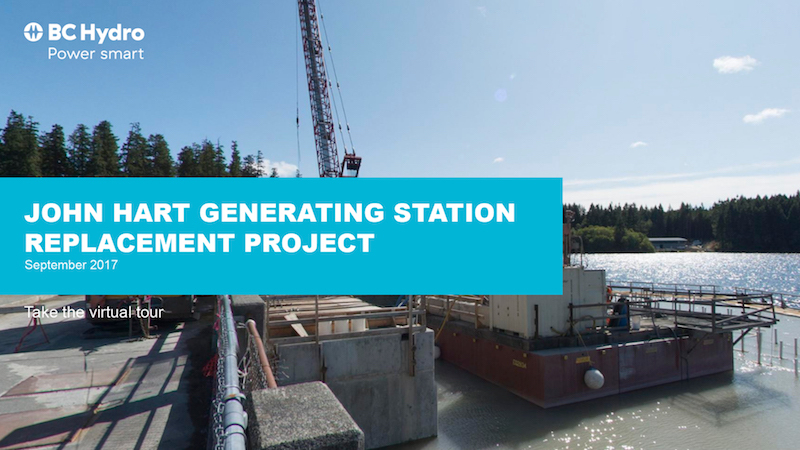 After 71 years of reliable service the old John Hart Generating Station in Campbell River has been replaced operationally, as of November 2018, by an underground system. Final project completion goes into early 2019. This ensures our John Hart facility will continue to deliver clean, reliable energy for many decades to come. 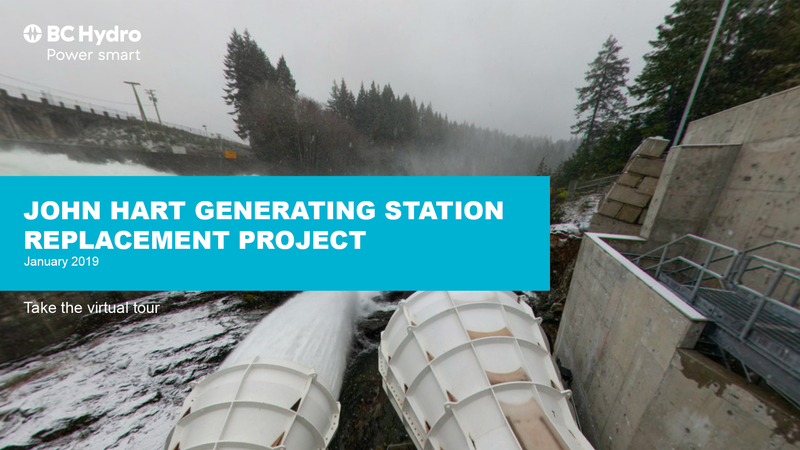 It’s a massive project: BC Hydro has moved Vancouver Island’s second largest hydroelectric generating facility completely underground. Construction work started in 2014 and the project remains on schedule and on budget to be fully complete in early 2019. 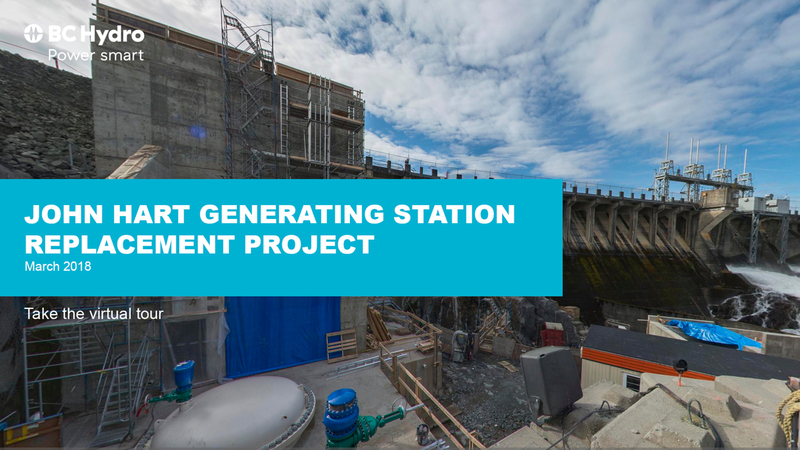 In 2019, we’re removing the old generating station down to the ground level, and removing the wooden and steel penstocks, and two of the three surge towers. 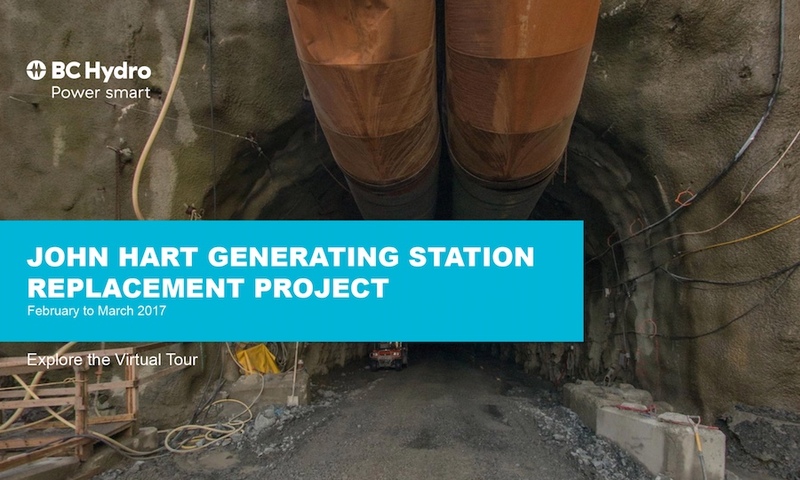 With most of the construction happening underground, and evolving over time, it’s difficult to visualize its impressive scope. You can go on four different tours from 2017 through 2019. These virtual tours take you down to where the action is and allows you to stand next to the workers – get those virtual tour goggles on, or view it with your smart phone or web browser. The virtual tour has been updated about every six months. You can take tours over time and compare them to what the site looked like earlier in the construction process. 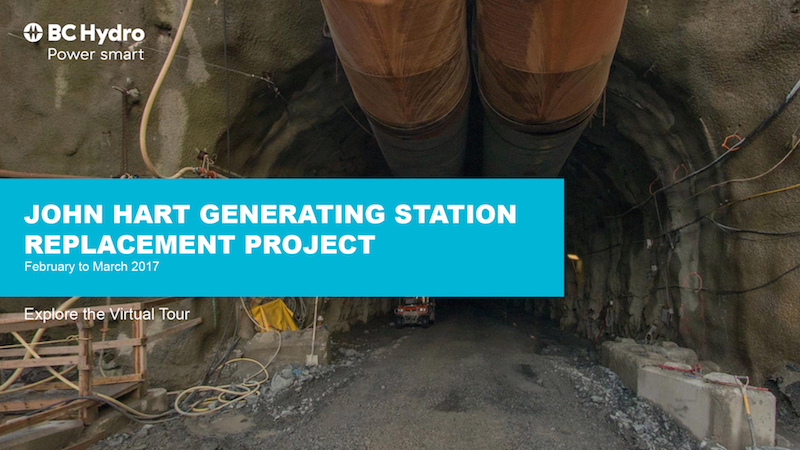 BC Hydro awarded the contract work to InPower BC, which consists of SNC-Lavalin and its subcontractors - Aecon, Frontier-Kemper, General Electric, and others.